According to Butte County Sheriff's officials, the man's wife who reported the three missing Sunday said they were found and driven home by a nearby resident. STIRLING CITY, Calif. — UPDATE: April 16, 2019 - 4:35 a.m. 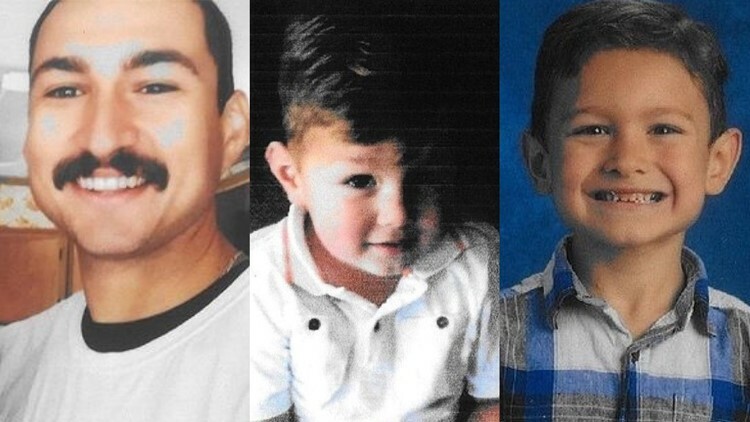 The father and his two sons who went missing in Butte County over the weekend were found safe early Tuesday morning, sheriff's officials confirmed. "Deputies immediately went to the home to confirm all three missing individuals were accounted for," sheriff's officials wrote in a Facebook post. "We are happy to know Michael Mercado and his two children are home and safe. Sheriff's officials said none of the three needed medical attention. Butte County Sheriff officials are continuing the search for a father and two children after they were reported missing on Sunday. Officials had received a call from a woman around 1 a.m. on Sunday who said that her husband took their children, ages seven and two, to the area above Stirling City. She told officials that she had not heard from them since he took them up there. The man was identified as Michael Mercado, age 25. Authorities in Butte County are continuing search efforts for Michael Mercado and his two sons after they were reported missing on Sunday. Multiple agencies have responded for the search effort including Yuba County Search and Rescue, Nevada County Search and Rescue, California Rescue Dog Association, Cal Fire, and the California Highway Patrol; this also includes 4 K-9's and 2 helicopters. Search efforts were able to locate the blue Jeep Wrangler they were driving unoccupied. Authorities say the Jeep had been seen driving in the Inskip area yesterday. Search efforts are continuing in the area above Stirling City and in snow covered areas near Inskip. *An earlier version of this article said one of the children was 12. The article has been updated to reflect that the children were identified as ages seven and two.